Does your business provide service across a few different metro areas or different states? Are you are managing multiple franchises? Workiz is built to service multiple service locations with our dispatch software. Jobs can be assigned to metro areas automatically according to distance from job locations. You can then get reports by metro areas and even restrict team members to their service location. You can easily manage the geographic areas of your service locations by distance from a zip code or by drawing on a map. When adding jobs, Workiz will figure out what metro area this job is located in, and show only the relevant and available techs. 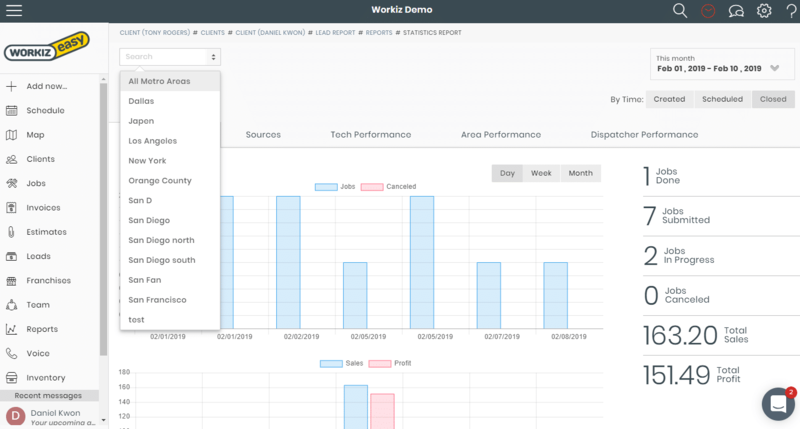 Managing your service business across multiple service locations is easy with Workiz’s report filters, which are applied to every report and to your schedule. You can easily get performance data per area and easily schedule the right tech for the job. Create restriction levels for teams and team managers. 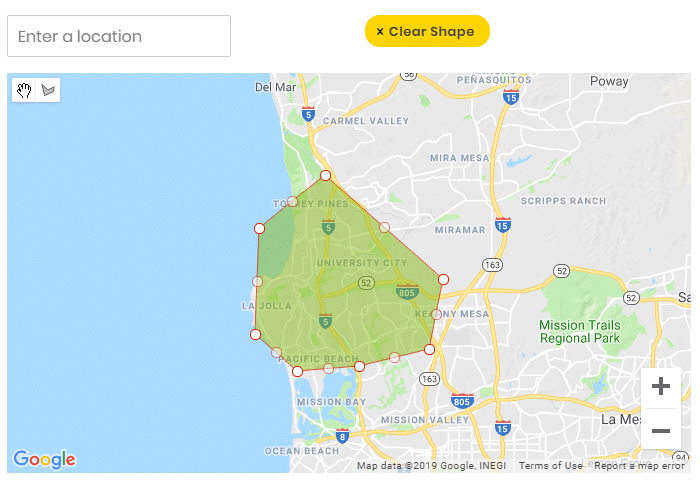 Workiz allows you to create custom roles that restrict users to specific metro areas, letting everyone focus only on their location.